Nicola McCormick BSc. (HONS) physiotherapy MSc. MMACP, MCSP, HCPC reg. Nicola graduated in 2007 from the University of the West of England, Bristol with a BSc (Hons) in Physiotherapy. 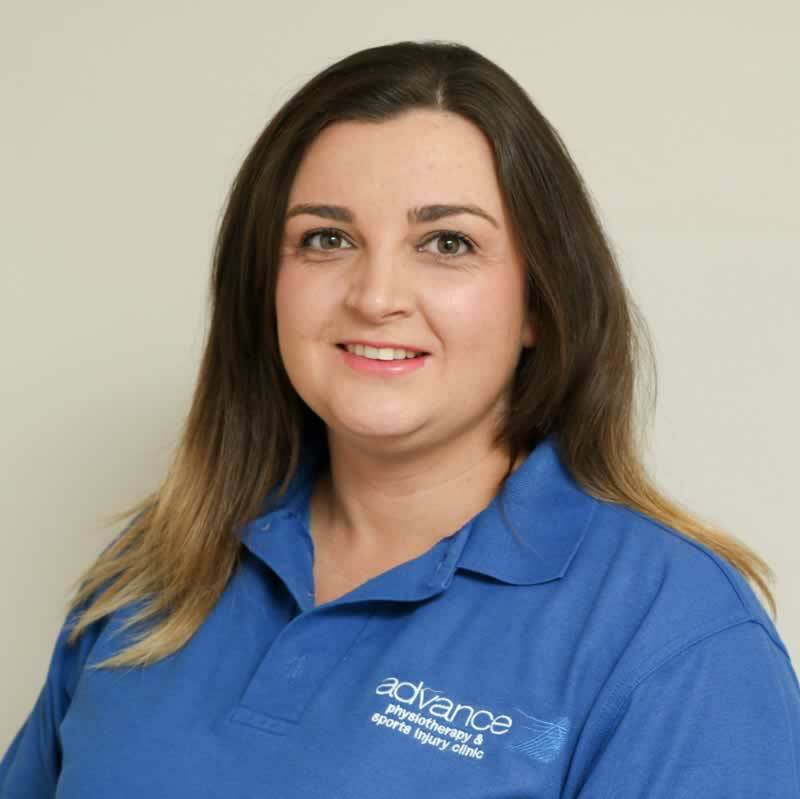 She has recently completed her MSc in Musculoskeletal Physiotherapy at Glasgow Caledonian University and was awarded with membership to the MACP a clinical interest group whose members have all undertaken extensive post-graduate study and reached a recognized standard of excellence in musculoskeletal health. Nicola has gained a wealth of experience over the last 10 years working in both the NHS and private practice in Scotland and Northern Ireland. She is currently employed as a Specialist Physiotherapist in Orthopaedic ICATS in the Belfast Trust, treating a range of complex musculoskeletal conditions and chronic pain, alongside clinical specialists with access to orthopaedic surgeons for consultations. Nicola is a keen sportswoman playing hockey for Belfast Harlequins and has a great interest in rugby, tennis and athletics and has developed skills in treating a range of sports men and women in private practice. She has also worked as a Physiotherapist in the Athletes Village at the Commonwealth Games in Glasgow 2014 and more locally at the World Police and Fire Games in Belfast 2013. She has completed APPI Pilates training and uses this regularly with patients to promote stability and strengthening throughout all stages of their rehabilitation. Nicola has a keen interest in managing low back pain, running injuries and most recently in shoulder injuries having completed her MSc research dissertation on exercises techniques in treating rotator cuff problems. She believes that exercise is the foundation of physiotherapy and rehabilitation and that this is enhanced through her manual therapy skills used regularly with patients.